This product contains natural oils known to enhance relaxation, stress and anxiety relief while at the same time refreshing the skin and replenishing moisturising oils on the skin surface. 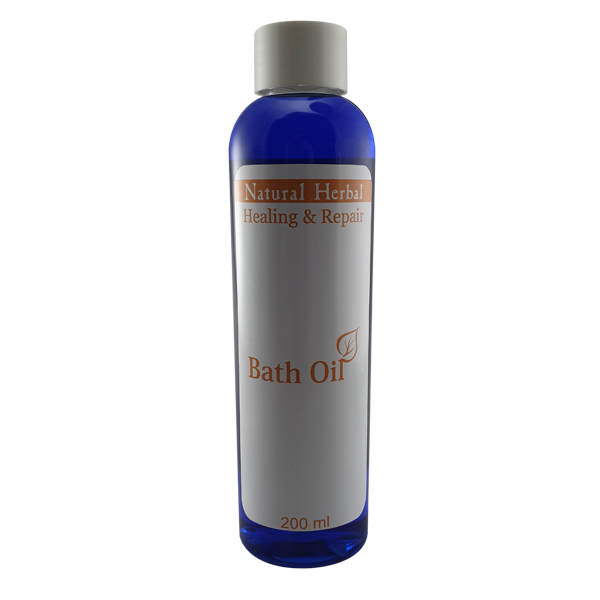 Healing & Repair Range Bath oil has an astounding combination of nature’s finest stress, anxiety and insomnia fighting essential oils blended to perfection. It contains lemongrass oil which helps relax, tone and relieve muscles, and is also known to aid with headaches. Also containing Tea tree oil which is known to have antibacterial and anti-viral properties, aiding in general healing. Rosemary oil contains antioxidants drawing impurities from the body. Add four cap full’s into a bath of warm running water. Rejuvenated, refreshed, relieved skin and muscle.